Attempts to recapture Graham are orchestrated by a variety of contrasting characters working for the all-pervasive British Empire. They include Moreton Bay's tyrannical, opium-addicted commandant Lord Cheetham, the dashing yet warlike Lieutenant Hogan, native tracker Barega and the penal settlement's captain, Tom Marsden. Marsden's young daughter Helen, a progressive lady ahead of her time who is both an egalitarian and a feminist, boldly inserts herself into the clash between the Irish convict, her father and Moreton Bay's other iron-fisted rulers. Helen complicates things further when she finds herself in a Pride and Prejudice-style love triangle with men on opposite sides of the conflict. When Scottish woman Eliza Fraser is found shipwrecked and close to death in Kabi territory, Graham and his legion of pursuers, as well as the Irishman's adopted Aboriginal family, are all forced to navigate a multi-faceted rescue mission. The precarious rendezvous is made all the more dangerous by Helen Marsden's ethically-driven meddling that often outwits the men involved. WHITE SPIRIT is not only based on arguably the great Australian (true) story, a sweeping tale that encapsulates all the nuances of the southern continent's unique history, it also provides readers with detailed insights into the tribal life of First Australian (Aboriginal) peoples. Lance and James Morcan love to write books about aboriginal peoples of the world. Their novels always intrigue me with their blend of historical fact and fiction. 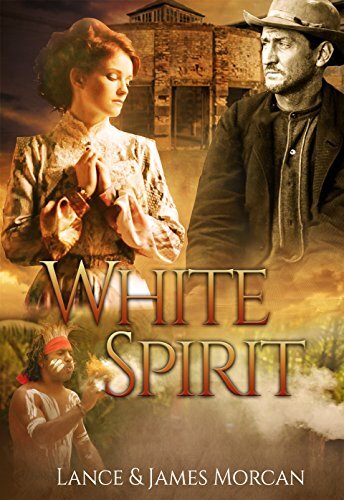 White Spirit is my favorite of all their novels so far. It is a brutal, no-holds-barred retelling of the true story of Australia's notorious Moreton Bay Penal and the one prisoner who successfully escaped and eluded capture for decades - a man named Graham. The story takes from the harsh conditions of the penal settlement to the brutality of the aboriginals and their daily lives. The book is very long - about the length of a trilogy - but I can see why it is important for the tale to be told in one book as opposed to three. The best way to describe this novel is disturbing, brutal, honest, and unputdownable. It is real, very, very real with fascinating characters at the helm. Very highly recommended! Both men and women will enjoy the story.